Porsha Williams' Net Worth: Is She the Richest "Real Housewife of Atlanta?" You may think the Real Housewives of Atlanta are just housewives, but each of these ladies has multiple business ventures and professions to generate income. One of the Housewives in Atlanta is Porsha Williams. Is she the richest among the RHOA cast? With a net worth of $500,000, you might be shocked to learn she’s definitely not. The Real Housewives in any city tend to brag a lot about their wealth. That gets us wondering if these ladies are really as rich as they claim to be. Some are, some not so much. 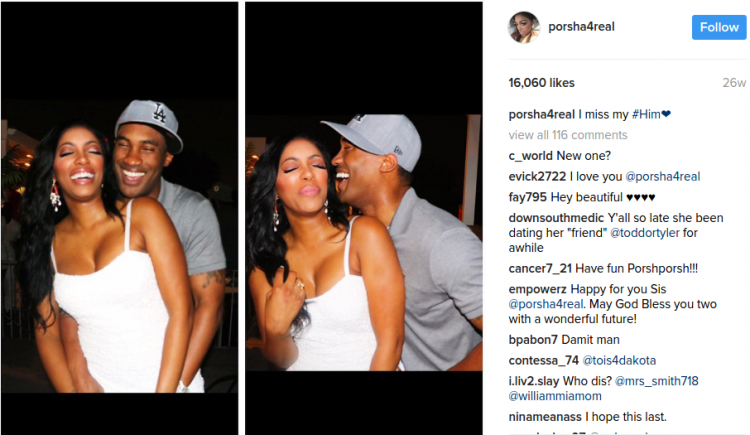 The franchise also had its fair share of financial scandals and among them is Porsha Williams. The ex-wife of Kordell Stewart has had some money troubles recently, and though she has denied the claims, her wealth has been significantly impacted. The latest figures estimate Williams’ net worth to be around $500,000. How did she earn her wealth and did it decline or increase through Bravo TV’s RHOA? Find out in Porsha Williams’ net worth right here. How Rich is RHOA’s Porsha Williams? Among the RHOA cast members, Nene Leakes is most famous for talking about her bank account and her catchphrase, “rich, b*tch.” But actually, she’s not really the richest Housewife in Atlanta. That title goes to Kandi Burruss, who made the explosive revelation on Sunday (February 19) night’s episode of RHOA that she and Porsha Williams had hooked up in the past. If we compared the two housewives’ wealth, Williams’ net worth as of 2016 is $500,000. That’s far less compared to Buruss’ $35 million. In 2013, public figures listed Williams’ net worth at $16 million, which means her wealth has significantly declined. Her net worth declined when her marriage with former NFL player, Kordell Stewart came to an end. Williams doesn’t get any alimony from her ex-husband, and her role on RHOA was also downgraded to the “Housewives’ friend.” When the show’s new season was filming, one of her castmates reportedly dug up her financial woes saying she’s deep in debt. But Williams has refuted the claims. Williams’ castmates all have their own income sources besides the TV show that contribute to their wealth. Nene Leakes is the second richest among the cast with a net worth of $12 million. Kim Fields, who left the show after the eighth season, has a net worth of $8 million from her acting, directing, writing, and producing jobs. Model-turned-housewife, Cynthia Bailey also has a net worth of $500,000. The following table illustrates Porsha Williams’ net worth as compared to her fellow Real Housewives of Atlanta castmates. How Does Porsha Williams Earn Her Wealth? Porsha Williams is the daughter of self-employed entrepreneurs. She pursued a degree in business information technology at the American InterContinental University in Schaumburg, Illinois. “Then I was in sales, I worked in furniture sales at Rooms-to-Go. I also worked at Center for Disease Control. I always had a job, or two,” she said in a tell-all interview. “My mother was an entrepreneur and so was my father, so it just was in my blood to want to own something for myself.” At the age of 24, she ran a day-care facility briefly. Along with being a Real Housewife, Williams worked as a professional model, actress, and singer. She began her career modeling for music videos and calendar spreads. Following her wedding to Kordell Stewart, she got her breakthrough as a reality star on RHOA and The Celebrity Apprentice. In the latest season of RHOA, Williams earned a salary of $700,000, which was a very disappointing figure compared to Buruss’ $1.8 million and Kenya Moore’s $1.3 million. Williams is also a co-host of the show, Dish Nation. In 2014, the Atlanta-native made her music debut under the record label, Kandi Koated Entertainment, founded by her castmate, Kandi Buruss. She debuted her first single, “Flatline” through the iTunes store in March 2014. She since hasn’t released any new music that would contribute to her income. The 35-year-old also launched her own lingerie line called Naked Lingerie and a line of hair-care products called Naked Hair. 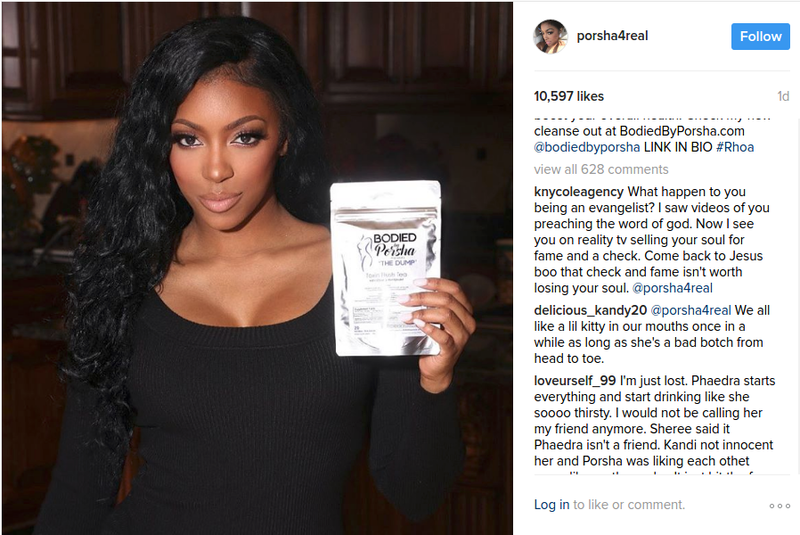 Her most recent business venture was launching a line of waist trainers called Bodied by Porsha. She promotes her products through her Instagram page often. She also joined the stage musical by Buruss, A Mother’s Love. “I was singing and acting and I got the bug,” Williams said about her musical stint. Williams has had many business ventures for brief periods of time. Therefore, the income from these sources is not known. RHOA is her primary source of income as elaborated in the table below. Williams began dating footballer, Kordell Stewart while she was working at the Lucky Lounge in Atlanta. They tied the knot in an elaborate ceremony in 2011, which was broadcast on the television series, Platinum Weddings. Williams became stepmother to Stewart’s son, Syre from his previous relationship with Tania Richardson. Williams expressed her intent to have children with Stewart, but their marriage was going through difficult times. After less than two years of marriage, Stewart filed for divorce, which became a televised affair on RHOA. She claimed she came to know about it through Twitter and was blindsided by his decision to end their marriage. Stewart had later claimed that Williams was a negligent stepmother to his son as the cause of their marital breakdown. As they signed a prenup and their marriage was short, Stewart claimed he didn’t need to pay spousal support to his ex-wife. Without division of assets and alimony, Williams’ wealth saw a rapid decline. While RHOA was filming for the eighth season, there were claims that Williams was knee-deep in debt and all her reality TV paycheck goes to creditors. Stewart was going to shoulder her debt, but after their divorce, it fell back on her. Williams refuted the claims adding that one of her castmates is digging up dirt to create drama. Williams has since moved on from her ugly divorce from Stewart. She began dating another Stewart, Todd Stewart. Todd was regular guy who worked for a firm in Washington DC. She revealed that they used to date when they were younger and rekindled their relationship after her divorce. However, when he quit his job to be with her, she didn’t like it. After all, she knows how important it is to have a day job once you’re done with a season of reality TV! Williams dumped Todd, but recent reports claim that the couple is back together. 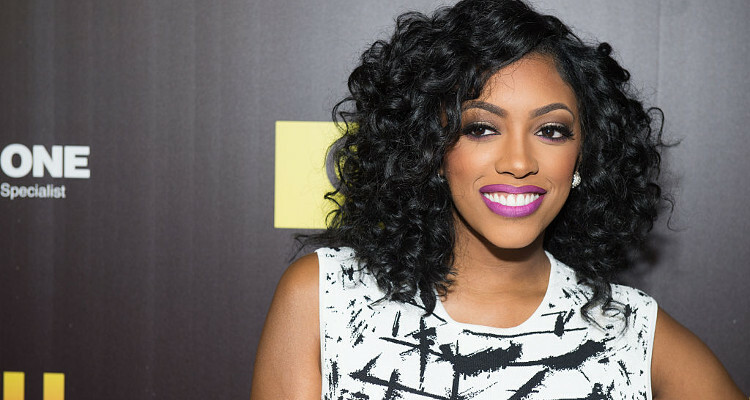 How Does Porsha Williams Spend her Money? As Williams claimed, she found her husband filed for divorce through Twitter and then confronted him where he was sitting in the next room. At the time of the divorce proceedings, Williams and Stewart were living under the same roof. She said, “It’s a difficult, difficult situation right now. It’s something I did not want at all,” adding that though they were living together, she stopped performing any of her wifely duties. After walking out of her marriage broke and going through a messy divorce on television, Williams is now a new person. She started with buying her own mansion -and solo! The star dropped $1.5 million on a new home in November last year and it’s one lavish and luxurious pad! “It was the same cost as a condo, and I have big family. So for me it was a smart decision. It was the right price. It was the right timing so I jumped on it. It’s been the best thing,” she said about buying her first home since the divorce. The property is spread over 5,920 square feet in the upscale neighborhood of Duluth, Georgia and includes five bedrooms, seven baths, a huge kitchen, a library, and five fireplaces. Besides being near a golf course, the house is a cool two minutes away from Nene Leakes’ luxury pad. We envision a RHOA girls night out!